Whether you’re looking at retiring, hoping to cash in on a lucrative business, struggling with partnership disputes, or just feeling burned out and ready for something new, here are some helpful hints to hopefully make the selling process smooth and easy for you. First, before you even put your restaurant on the market, you will need to get it buyer ready. We’ve all heard the saying, “You don’t get a second chance to make a first impression,” and this holds true for your business as well. Take the time to ensure the exterior and interior are well-maintained and spotless and that all of your essential equipment is working efficiently. Fix, update, and replace whatever is needed. After all, you don’t want potential buyers walking away because of graffiti on the walls, wobbly tables, and questionable bathroom maintenance. 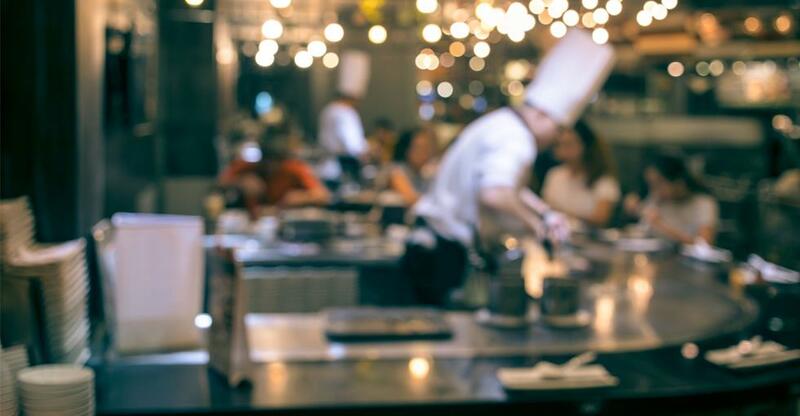 Also keep in mind, once your restaurant is on the market, it isn’t unusual for a potential buyer to make an incognito visit before they ever express any outward interest in making an offer. So this is just another reason to have everything in tip-top shape from the get-go! Often, a buyer’s first impression of your restaurant will take place while visiting your website. If your online presence is poor, it may create doubts about the rest of your business. This includes not just your website presence, but your social media presence as well. Take time to respond to reviews, both positive and negative. The reality is, not everyone is going to love you, but if you take the time to address customer feedback, even those who aren’t your biggest fans, they will still appreciate that you took the time to make it right. This will also give off a much better impression of how the restaurant deals with customers. Australian tax law requires you to keep financial records for at least five years, and good bookkeeping is essential when preparing to sell your restaurant. This will most likely be the first thing a buyer asks to look at to establish the profit potential of this possible investment. It is highly recommended to have your books audited regularly, so if bookkeeping is not one of your strengths, outsource it to an expert! An accountant will also be able to prepare necessary financial documents, increasing your likelihood of selling your business at a higher price. Equipment lease: If you own the equipment, make a list of which items you will be selling with the business. If you are leasing the equipment, some leases may not allow transfer of ownership, and if so, you will have to exclude it from the sale and overall valuation. Liquor licence: Transferring a liquor licence usually takes an average of six weeks versus applying for a new one, which can take months. The transfer is granted by applying to the liquor and gaming government body in your particular state and completing the relevant paperwork. It’s important to have this completed as soon as the sale is final because no alcohol can be sold until the transfer of ownership is complete. Another useful tip when selling is to make a list of all your suppliers. This will ensure a more seamless transition for the buyer as they delve into running their new restaurant. Although they may eventually change suppliers to better suit their needs, they will appreciate this extra step. A broker will be an invaluable resource and wealth of wisdom, leaving you free to continue running your business, while they examine potential buyers. They will also be able to offer you advice on the best asking price as well as the best time to sell based on the current market. It can take at least one year to sell your business. This may seem like a long time, but it will give you a valuable opportunity to continue to improve your financial position and customer base—making your business even more profitable and ready for an offer. Selling your restaurant can be an emotional time as you look at parting ways with an investment you put so much of your time, energy, and heart into. We would love to help make this transitional time as stress-free as possible by listing your restaurant for sale to propel you into the next exciting step of your life.